Synopsis: Arthur Herring is the mayor, priest and mortician in a quaint small town nestled in the mountains of New Mexico. He and his brother, Vincent, are well-respected pillars of the community. 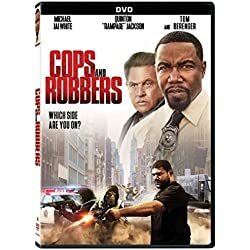 Arthur and Vincent once agreed to safeguard fellow mortician Lloyd’s rare coin collection worth a small fortune while he served time in prison, but when Lloyd is released and requests that his coins be returned, the brothers hatch an elaborate scheme to keep his treasure for themselves.